Launched in 1997, the Fendi Baguette instantly became one of the most popular accessories of the decade, creating an enduring style icon that women from the whole world have coveted and collected with passion. 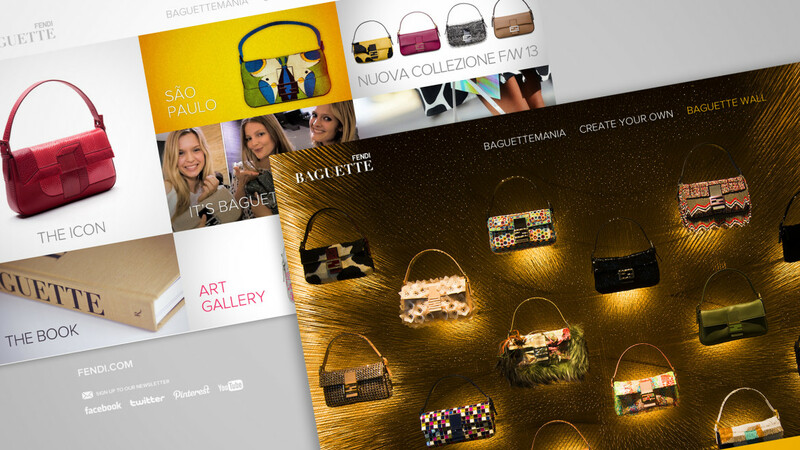 The House of Fendi decided to fête the 15th anniversary of its most precious jewel by reediting 6 Vintage Baguettes, by publishing a tribute in the form of a luxurious coffee table book and by airing a new, dedicated, website. Sartoria was asked to collaborate in creating this new website. 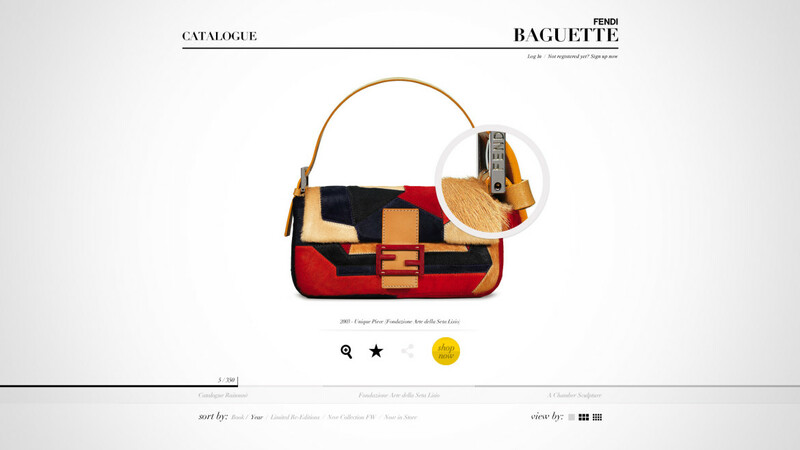 Thinking of it as a temple for the fans of the Baguette bag, and a catalogue in progress users can interact with to access exclusive videos and informations. 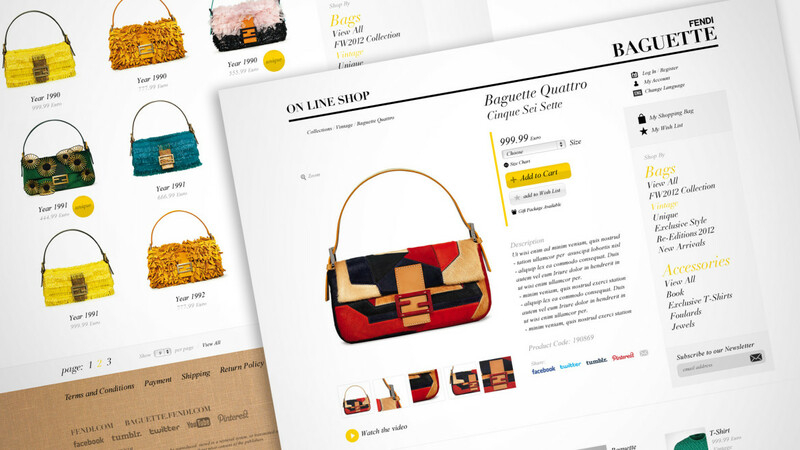 A temporary Online Shop – which lasted for a 6 months period – was created soon after.